Home - Humphrey, Covill, and Coleman Insurance Agency, Inc.
Humphrey, Covill & Coleman Insurance Agency, Inc. was founded in 1926 by Ernest J. Humphrey and Raymond F. Covill. Our agency has grown to become one of the major insurance providers on the SouthCoast, selling and servicing insurance for both personal and commercial clients. We're also very active quoting and insuring clients with Flood Insurance. Humphrey, Covill & Coleman Insurance Agency, Inc. has been providing insurance protection to the Greater New Bedford area since 1926. Our agency excels in the individualized service that we provide to our clients. Our agency is staffed by competent professionals who are genuinely concerned with the welfare of our clients. Our motto is: “The Friendly Insurance Office”. We are firmly committed to a process that delivers prompt claims service, superior insurance products at affordable prices and services that consistently meet or exceed the expectations of our customers. Call us for a quote! Our employees continue to be updated in all phases of the industry by continuing education and regular attendance at insurance courses and seminars. Every member of our staff holds a Massachusetts license to service and sell insurance. Our office is conveniently located in Downtown New Bedford with adequate parking for our customers and direct access from the Connector (Route 18) off Route I-195. Please enter your email to subscribe. We respect your time and promise to send only high-quality newsletters. Are you a carpenter, contractor, roofing company, or mason? Then you’ll want to read this. Social Media Marketing for Contractors is a How-To on setting up your Facebook marketing. You know you do great work and your customers know you do great work, but how do you get that out to the masses? How do you get more customers? You’re great at what you do, but not so good at marketing? We can help! Potential customers are doing a lot of research online these days. They like to see your finished work and they ask for referrals! They’re not likely to just take the first contractor they find in the phone book. That’s why it’s so important to put together a social media marketing plan to help you get the word out about yourself and show off your work. To help you do that, we’ve put together our top five tips for getting more customers through social media. Though water is great for plants, animals, and life all around, it is not for the home! This is why waterproofing your basement is so important. 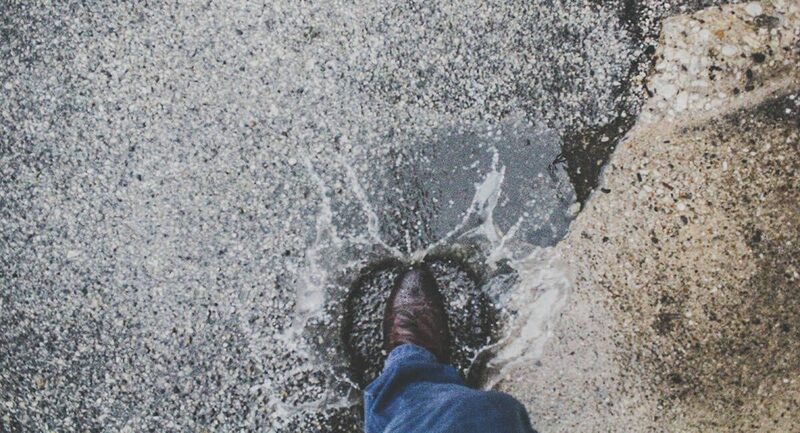 Water can weaken foundations, damage floors, and cause mold, all of which are dangers to your home. Mold is especially dangerous. It forms in a dark, poorly vented area with high moisture levels and the basement is often neglected, allowing the mold to grow for a longer period of time. Did you read about the bride in NYC that dropped her engagement ring? This past Monday the New York Times ran a story about a couple who lost an engagement ring. The ring was a little too big and slipped off the bride’s finger on a Friday night into the abyss of a Times Square sidewalk grate just a few hours after grooms proposal. Think, Engagement Ring Insurance.